My name is Eric and surf a lot on the boards with the same screen name. 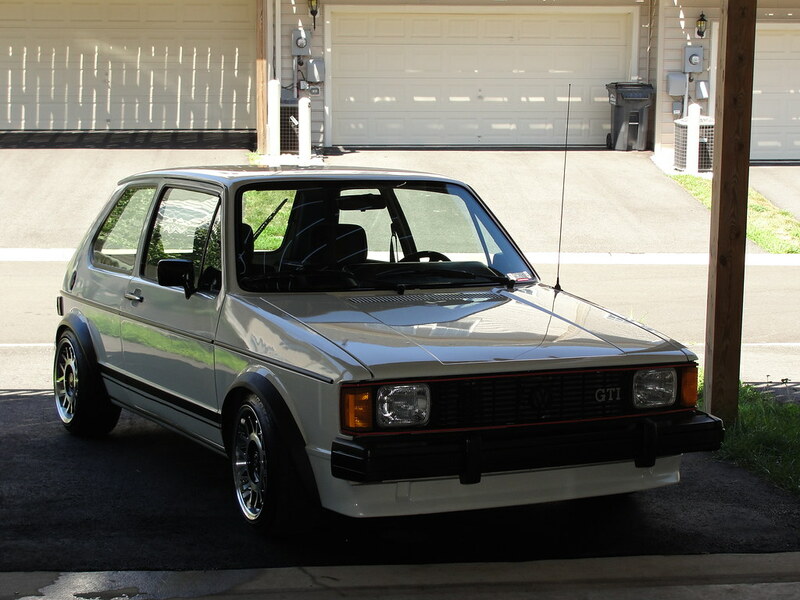 My first dub is my 84 Rabbit GTI that I bought the weekend I got married in Tennessee back in the summer of 2004. 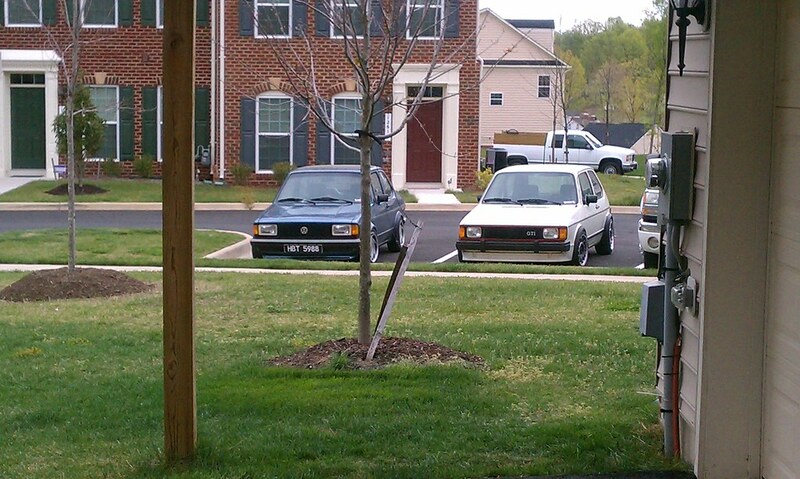 My father in law is a long time aircooled guy and he thought that I might want this GTI that was across the street. Six years later and I still love it. And I bought this 84 Jetta Coupe shell in Florida in May of 2007 and I have been slowing working on this girl. I put a full 1.8 16v swap for a guy that could pay for his repairs at my buddies shop. $750 for everything I needed for this. It is waiting to be painted. I can't wait when the coupe is painted I have some plans for it! cool story about your father in law though.. is he still into aircooleds? Yeah, I know it took me awhile... Yeah, he is always trying to find me a aircooled to buy. Here are some updated pictures of both cars. It's not an old car, it's a classic! Those are some very nice cars you have there. De website voor nieuwe VW emblemen en VW onderdelen. Here is a new one of the GTI after giving it a wash.